My love for Spartacus should come as no surprise to our frequent readers. Heck, we did a whole week of Spartacus themed epicness here in the Grotto. Well I've got another bloody mess of a treat for you. 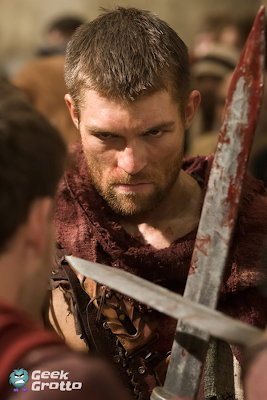 Hit the jump for your first look at the next and final installment of Spartacus. War of the Damned!